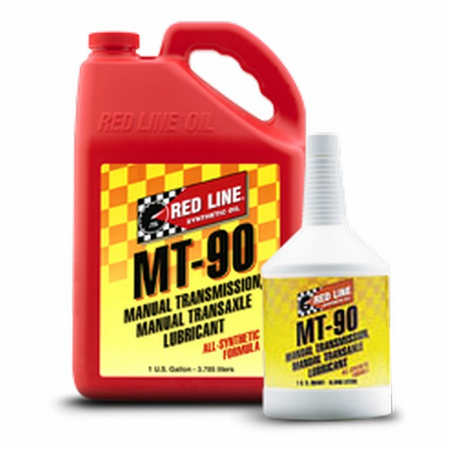 RED LINE MT-90 HIGH-PERFORMANCE GEAR OIL is a fully-synthetic ester-based lubricant designed for use in manual transmissions and front-wheel-drive transaxles. 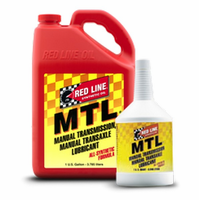 This shear-stable formula resists breakdown for extended periods and offers more consistent viscosity in warm and cold temperatures for less gear noise and improved shifting. This fluid is less slippery for improved synchronizer coefficient of friction and offers stronger film strength for better wear protection.